Yesterday afternoon was a big day for the Oregon Duck men’s basketball team and their fans, as the unranked Ducks defeated No. 9 Utah, 69-58 at Matt Knight Arena. 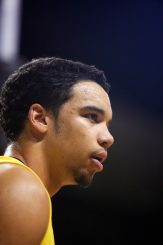 The emotional victory was led by Oregon freshman Dillon Brooks, whose spirited play led to a nasty two-handed dunk that weighed in at No. 6 on ESPN’s Sportscenter Top 10 Plays of the Day. 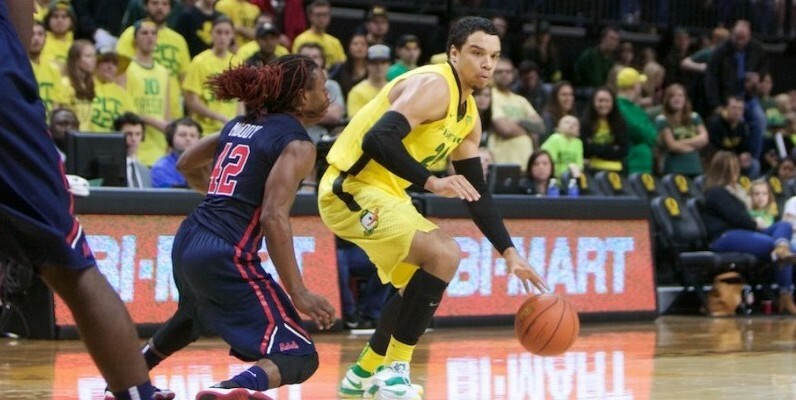 Dynamic Oregon freshman Dillon Brooks led the Ducks to victory during their final home game at MKA yesterday. Brooks led the Ducks with 19 points and seven rebounds, keeping Oregon’s hopes alive for an outright NCAA tournament bid on senior day in Eugene. ”We ran a couple things for him late because [Brooks] did have the hot hand, and he responded pretty well,” Oregon head coach Dana Altman said. CBS Sports has the Ducks now listed as a potential No. 10 seed in an updated NCAA tournament bracket projection after Oregon’s first victory over a Top 10 team since last year’s upset over Arizona. The Ducks are 20-8 overall and sit comfortably in third place in the Pac-12.